The search for the perfect career often begins with a search into your own interests and skills. People that have an interest in the field of healthcare may be concerned with helping others, solving problems, and leading a team of professionals to a common goal. If this sounds like the type of interests that you have, you may be a great fit for healthcare-related fields. If you are like many others that make this decision, you may be a great fit for educational programs that can lead to management positions in busy hospitals and healthcare centers in the U.S. Administrative management is a degree path that can help students learn about what goes on behind the scenes of medical facilities. Students can learn how the hiring and training process is conducted, how financial decisions are made, and the research and review that takes place in determining methods of treatment for patients on a daily basis. The goal of the MHA - Administrative Management program is to help create knowledgeable professionals that can influence a positive environment in healthcare facilities. Administrative management as a career field can include providing oversight to teams that are responsible for ensuring great patient care, customer service, billing, and employee direction. 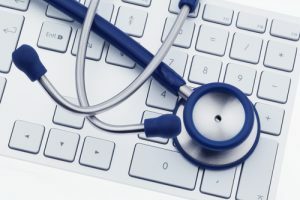 If you choose to pursue a career in this field, you could be tasked with reviewing spending and income of your medical facility, analyze billing statements for accuracy, and working with human resources professionals to ensure that employees are receiving the right types of training and benefits. This guide was created in an effort to give you more information about this fascinating field and what is involved in pursuing it. Our team of experts has years of experience in researching educational programs in many different fields, including health and medical care. Information about the MHA degree program and the administrative management career field are located in the guide below. Read more to learn the steps you should take to pursue a career in this area of healthcare. As a professional in the field of administrative management, you may find that there are many different responsibilities related to this career field. Healthcare administrative managers are the central point of leadership to healthcare professionals working in busy hospital or medical settings. The insight you can provide medical professionals can assist in providing great quality services to patients within your organizational setting. In order to give you more specific information about what may be required of you in the field, our educational experts have brought together this short list of duties and points of interest for you to review. Read along in the list below. Depending on your level of responsibility in your career, you may be responsible for working with large teams during treatment planning or overall project management. This can include providing insight into areas that may need improvement, such as patient care or employee conduct. Your opinion is helpful in bringing reality to life for leaders that may have little interaction with employees and patients on the floor. Implementing strategies and methods for change may also fall in your hands as a leader at the administrative level. The financial component of healthcare agencies is extremely important to the daily processes of these agencies. It may be your responsibility to ensure that patient billing statements are correctly filed and purchases/spending accounts are kept up to date. This can be achieved through providing management to team of accounting specialists or approving financial statements. In hospital offices and patient intake counters, there are plenty of responsibilities for healthcare professionals. Leaders in this area should ensure that patients are receiving ample intake services, insurance information is filed accordingly, and staff is working according to the facility’s plan. In this department, you may be responsible for creating staff schedules, staff training, and the organization of patient intake documents. One of the most prominent responsibilities of administrative managers is providing oversight to the human resources department of their facility. This could include reviewing recruitment plans and applications, assisting during the hiring process, and ensuring that all training practices are administered accordingly. In the event that employees are terminated or have reported ethical issues, managers may also meet with them to provide information or support needed. One of the most important steps in becoming an effective administrative manager is diversifying your knowledge of the healthcare field. There are many different aspects to consider when working through a degree program, such as the financial components of running a successful health-related organization, the methods for ensuring that employees are subjected to the right type of treatment, and the policies that surround the operation of healthcare facilities in the U.S. The curriculum that you might be involved with in MHA programs should contain each of these topics, and more, throughout your experience. The courses below can give you a better idea of what to expect in terms of topics and specific theories present within this field. After completing your MHA program, you should have a dense knowledge of the healthcare field and the many different points of interest involved with administrative management. Healthcare Administration Leadership: This course can help students familiarize themselves with the issues and challenges present within the field of healthcare. By learning about these challenges, students can gain skills that can help them plan and prevent occurrences of difficulty within administrative teams. Students may also learn how to create an open environment for employees, which can help increase the quality of healthcare systems overall. Healthcare Services: Students taking this course may get an introduction to the various components of the U.S. healthcare system. Technology, health reform, and policies may be discussed in depth, in order to give students a more educated outlook on the overall healthcare system and its advances. This course can also help students identify helpful healthcare programs and services available to patients of various backgrounds. Healthcare Organization and Administration: While in this course, students can gain a better understanding of the healthcare field and how it communicates and interacts with other organizations for the greater good. Strategies for growth, goal acquisition, and competition may also be discussed throughout this course. Students that complete this course can have a better comprehension of the purpose of healthcare administrative professionals and their methods for success. Like most masters programs, the average length of time for completion may be around 2 years for most programs. After doing a thorough search, there are even programs that can be completed in more or less time, depending on what you require as a masters student. There are degree programs that cater to the needs of busy working professionals, which can help make your decision to return to an educational program even easier. It is important to review these components of a potential degree program before making a definite decision. The cost of educational programs can also vary greatly depending on where you look. Our team of educational experts has provided tuition estimates from universities that offer programs of interest for students in this field. When you are browsing through online MHA programs, you should take into consideration the cost of fees, housing, books, and resources during your financial planning. These costs can add up without your realization. It should be noted that these estimates were derived from the data provided on each of their respective sites which can change quickly. When working with upcoming college students, one of the most widely asked questions pertains to earning potential in the field. Most people do not want to choose a degree program that cannot provide great financial benefits to those that engage in them. What you can earn as a professional is dependent on the amount of time you have worked in the healthcare field, your responsibility within your current position, and the level of degree you have earned through higher education. The best way to introduce students to the earning potential of this career field is showing actual estimates for positions that are included within this career field. The list below shows some of the most chosen career paths for adminstrative management professionals. Each of these choice have varying salary estimates, which can show you how your options can be very different when working in the field. Take a look at the estimates below to learn more about your earning potential in this field. Human Resource Managers: $106,910 on average per year (BLS). Are there programs with no campus visit requirements? This is a crucial question for students that are interested in pursuing their degree online. Degree programs in healthcare administration, such as the online MHA at the University of Scranton, offer a completely online format for their programs. While there are some universities that may require you to visit in-person, there are definitely options that can allow you to complete your entire program in an online setting. What type of applicants are more fitting for these programs? While most online MHA programs are open to any student, the ideal student may have a strong dedication to leadership, a thirst for learning, and some work experience in the field. In order to get the most out of what is taught in these educational programs, students should have an understanding of the real-world healthcare environment. Students that have the desire to lead may also be a great fit for these programs. What types of duties can I take part in when working in this career field? In administrative management, professionals often oversee the functions of the human resources team, finance professionals, and records specialists within the healthcare environment. The job duties of professionals in this field can vary depending on where you work, but a large majority of your responsibilities may be found in the administrative compartments of hospitals and other medical facilities that you may be employed with. You may also be responsible for making important decisions regarding the training, hiring, or financial maintenance of the facility in which you work.